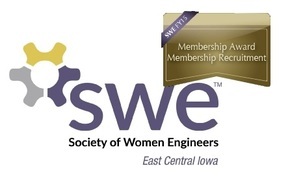 Want to meet fellow female engineers from around the area? Join the ladies of the East Central Iowa section as we play some fun networking games, enjoy appetizers, and get professional headshots taken! Photos will be taken by a professional photographer FREE OF CHARGE for paid members and only $25 for non-members.This networking night out event will take place at the White Star Ale House on Thursday, September 17th from 7-8:30 pm. Please register using the form below. See you there!